So we all know Rosé is the drink of spring and summer – but does it have a life after that? YES. Of course it does. Rosé is not just a trend, its a lifestyle for some and it is absolutely a drink you can have all year round. Traditionally when you think of Rosé, you think of the beach, sunshine, outdoor happy hours – but you can enjoy a crisp glass all year round….and here is why. Rosé is a light wine, so it pairs nicely with those heavy winter foods i.e … sweet potatoes, turkey, green beans. Many people switch to red in the winter, but sticking with Rosé you will find those big meals feel a little lighter with it. Rosé can be very fruity, but others can be very dry – as we move towards the colder months a crisp, dry glass of wine is the perfect way to end the evening. The color. Yes we all love the pink tones – and they go well with all of the bridal showers and baby showers we attend throughout the fall. Rosé and Pumpkin – sounds gross, but they actually can be a nice compliment. A light, crisp Rosé paired with a Pumpkin Squash Pasta dish is LIFE CHANGING. 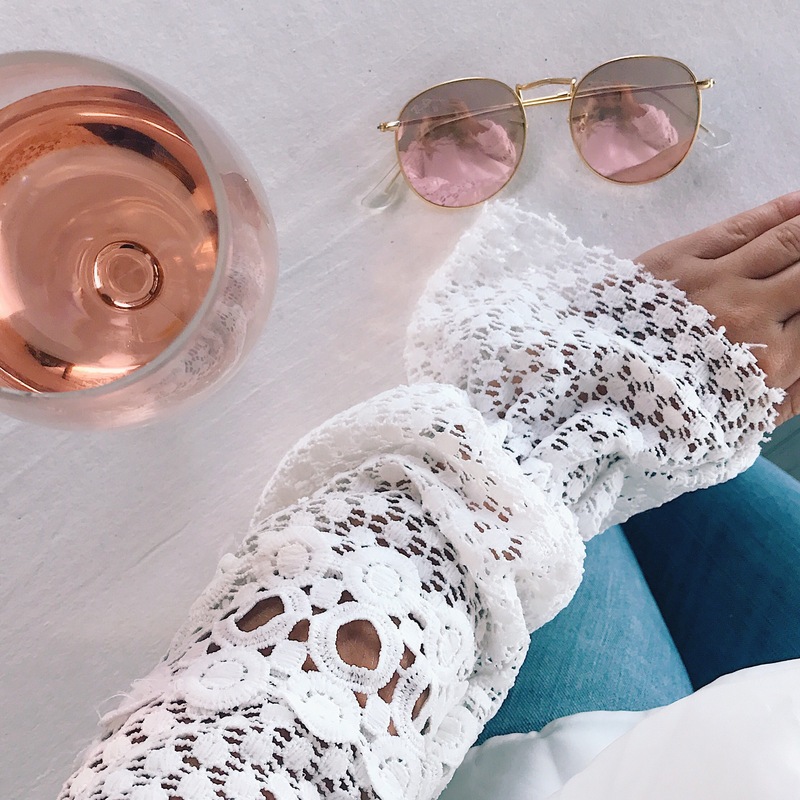 Amen to all of this – there is truly never a bad time for rosé!